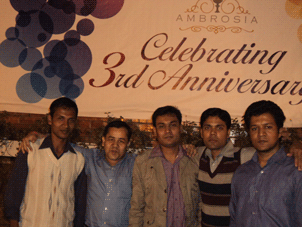 We went to the Ambrosia (Well know restaurant in Agrabad, Chittagong Bangladesh) directly from our office by our official car. We were really un-prepared as the decision of the dinner party was taken suddenly. On the road most our officers went down and go back to their house to attend with their wives. As I am unmarried J , so I went directly to the Ambrosia. We were too un-prepared that some of our officers went to the saloon to clean their faces (bachelor group) …..Think about that…. What to say about our girls…. Unmarried ones went to the parlor for moisturizing and toning their skin and the married ones went to their house to attend with their husband and child… Oh…Most of them leave the office before office hours. 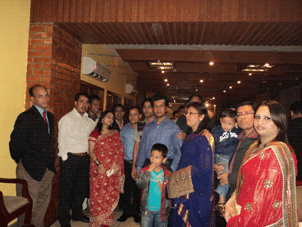 Our MD Sir also leaves the office before time and we thought he will attend with his wife and child. But it was sad that after reaching home he became ill (attacked by cold) and could not attend the party. We really missed it. 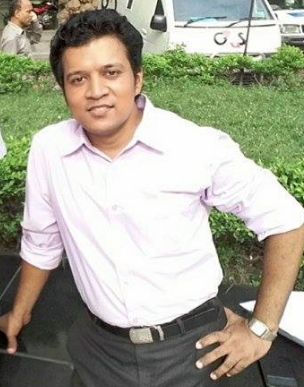 Mainly I was intrigue to meet with Madam because she is my reporting boss and after joining to my office as Software Engineer I didn’t met with her. During the time of my joining she was in India (Both of our MD and His wife from India – Tamil Nadu) and she returns just few days ago. The quality of the dinner was good. I really liked their salads, fried rice and curry. But, there was another salad prepared with noodles, I think, yak, the taste was horrific. It makes the taste of my whole curry horrific that’s why I had to take rice and curry again. 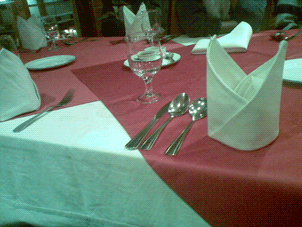 They served cold drinks single time, I asked for another one but they didn’t serve me, I am not sure about the dinner etiquette. Our dinner starts from 8.45 pm; at first they served Thai prawn soup, onthon, tasty salads, and cutlet which actually destroy our hunger for rice and others. Whatever, secondly we took rice, nun,salad,mutton, chicken and prawn curry, except the salad and nun others was good. For this salad I had to take rice for the second time. Previous postJava JTable Cell and JTextField: How to use and assign JTextField in JTable cell. 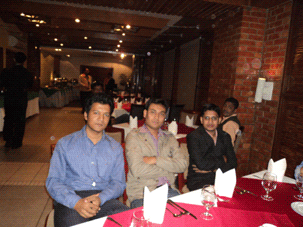 Our school interior design project is going on in Chittagong and we often have to eat out. 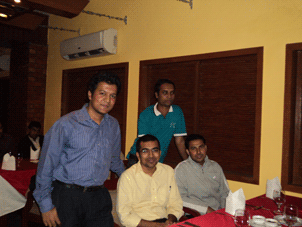 I must say, it’s hard to find a good food (within budget) in Chittagong! 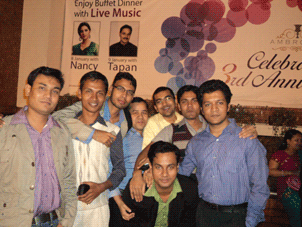 Yes, You are right, Though our party was cool enough, but some of the menus of Dinner was too Yak to say.